The things we say shape our children. Our verbal interactions with them mould their personalities, inspire them, help them as they learn how to think, how to act, and how to be. What would Einstein have achieved if his mum hadn’t regularly used the phrase: “Well, it’s all relative, isn’t it”? What would have happened to Martin Luther King if his ma hadn’t reassured him after a restless night by saying: “What you’ve had there, my boy, is a dream”? What would we remember Captain Oates for if his mum hadn’t told him: “Whenever you go out, always give people an idea of how long you’re going to be. Especially if it’s cold”? There’s one such phrase that I use every day. Something I hope my children will take on board, learn, understand, remember, and be moved by. Usually I say it from behind a closed door, but the lack of eye contact doesn’t diminish its heartfelt power. I was woken up by two attention-seeking missiles. I’m not talking about my husband’s testicles, he was on the early shift. My kids, I mean my kids. 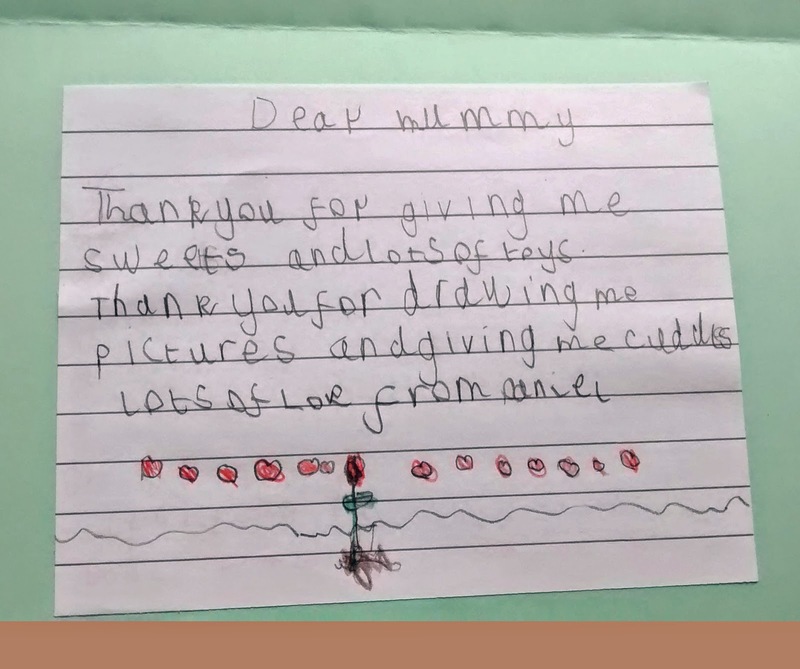 The messages inside their homemade cards said it all. 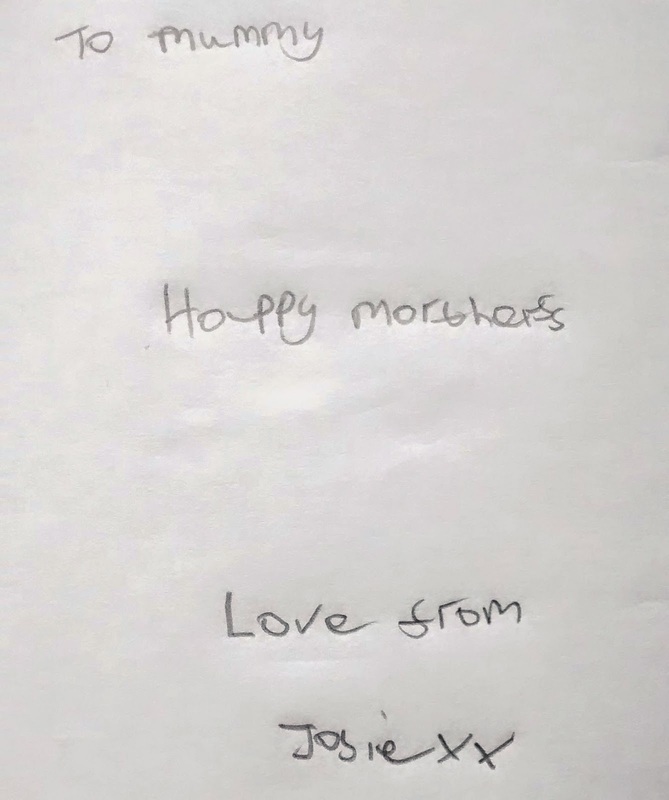 The lad’s was an outpouring of random stuff (the mercenary bits given top priority, but I was dead pleased with the ‘cuddles’, and hugely relieved not to be thanked sarcastically for ‘all the shouting’). My girl’s was short. Pithy. Misspelt. Video is Public Service Broadcasting - Gagarin, from the LP wot I got.